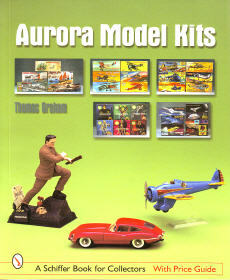 Although monsters were Aurora's most famous products, the company created kits of all varieties, including military and commercial aircraft, moon rockets, historic sailing ships, sports cars and others. Here, Aurora executives, sculptors, artists, and engineers tell the story of the company in their own words, with every Aurora kit made, including some that never went into production, described in detail. Includes 465 color photographs, a guide to current market values, reissue information and more. 160 pgs, SB, 8.5 x 11, 465 color photos.